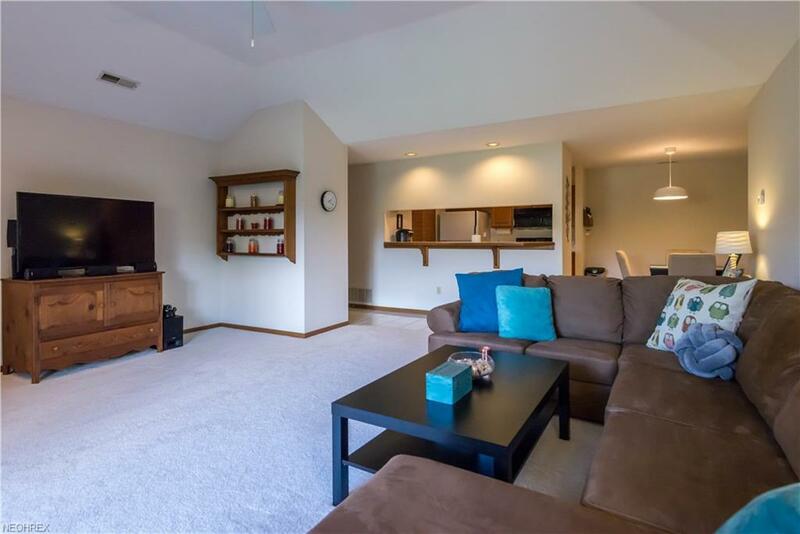 Located in the highly desirable Country Lakes development, is this PRISTINE maintenance free Two Bedroom Two Full Bath 2nd floor ranch style condo with PRISTINE and OPEN Floor plan with TASTEFUL DECOR, In-Suite Laundry, & one car garage with secured building access! 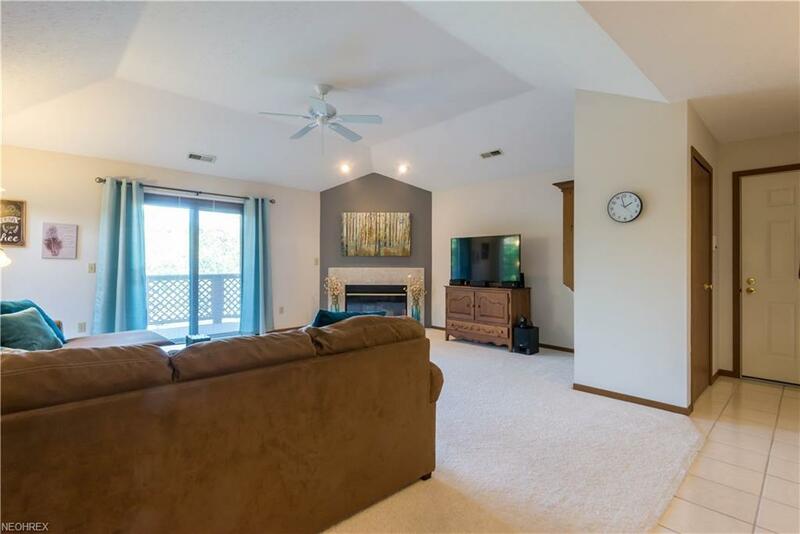 You will immediately appreciate the OPEN floor plan with the spacious vaulted Living Room with newer flooring with corner gas fireplace with slider to private deck with trees. LR opens to the Kitchen with ceramic tile floor with breakfast bar with seating and ALL APPLIANCES INCLUDED! Newer Carpet, Dishwasher and Washer/Dryer. The adjacent Dining Room is perfect for special occasions. A full Bath is off living room and in-suite laundry off Kitchen. Home offers two bedrooms including large Master Bedroom with deep walk-in closet, linen closet and private Full Bath w/walk-in shower. Enjoy the scenic views on your deck off Living Room w/STORAGE and COVERED PORCH AREA as well as open area. 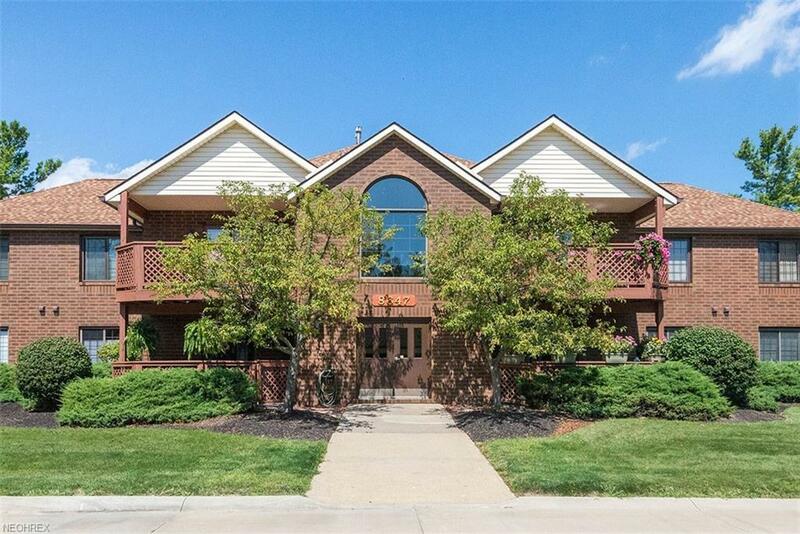 Neighborhood Amenities include POOL, Recreation Center, Playground, Fishing Lake, and Tennis & Basketball Courts. 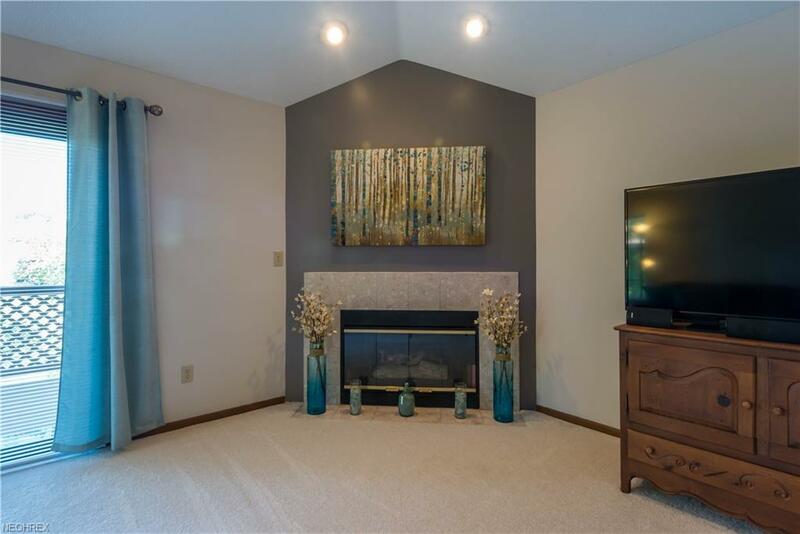 Centrally located close to downtown w/easy access to I77/I80, Metroparks & Shopping, Located in award winning Brecksville Broadview Hts Schools! New State of the Art Broadview Hts Recreation Center is slated for completion December, 2018.